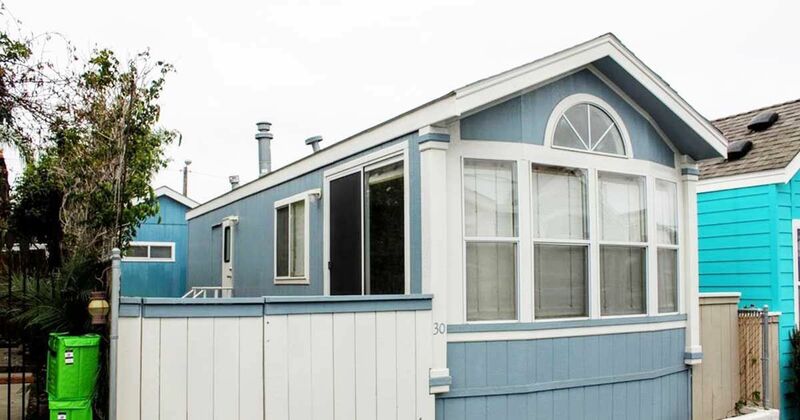 It's tough to find a vacation home in close proximity to California's popular beaches, and it's even tougher to find one that's affordable. What many beach-goers don't realize is that their mansion by the sea won't be occupied as much as they think it will, so why opt for thousands of square feet when a nice cottage will do? A beach rental park model has just opened up for purchase in Leucadia, a community in Encinitas, California, next to Coral Cove. The home's exterior is pretty standard for a park model, but just wait until you get a load of the interior. 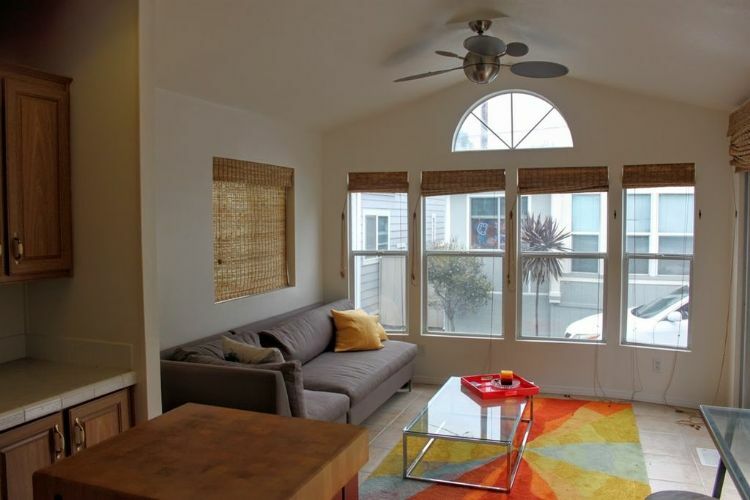 It's a diamond in the rough that's just a few minutes walk from the beach. Large bay windows illuminate the living room, light beams playing off of the cheerfully-colored rug underneath the glass coffee table. The couch is pleasantly modern; it looks like its spacious and comfy enough to do some indoor tanning as the sun shines through the windows. 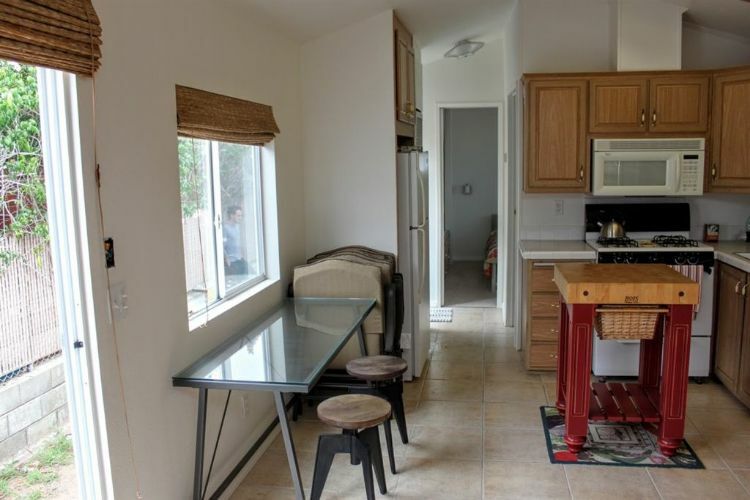 An open plan dining area and kitchen keep the space light and bright. A cute little dining table sits by the window so that you can sip your morning coffee with a lovely view of the palm trees outside. 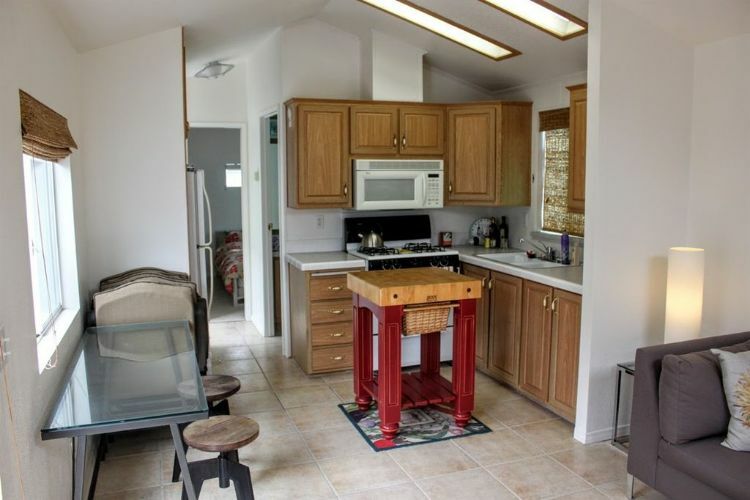 The kitchen island is quite interesting. It has a basket and low shelf underneath for storing cooking tools, dishes or pans that keep them well within reach as you're preparing food. 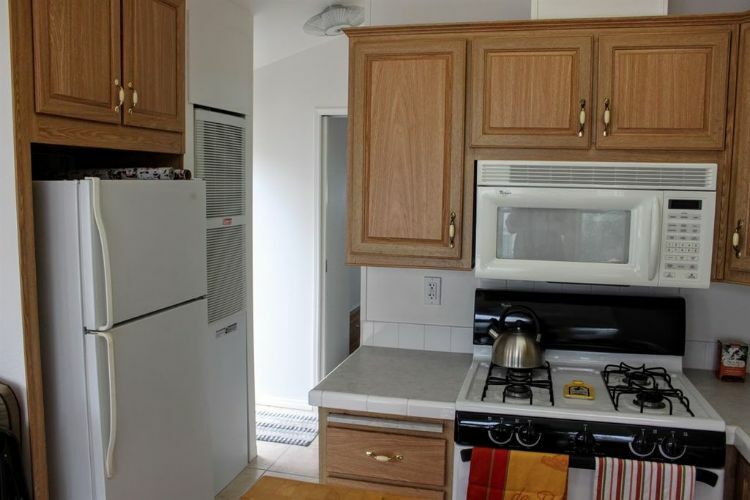 Updated appliances come with the park model, including a fridge, stove, microwave and white ceramic double sink. A walk-in shower gives you plenty of room to move around and has sliding doors to enter and exit easily. The bedroom is very impressive for a park model. 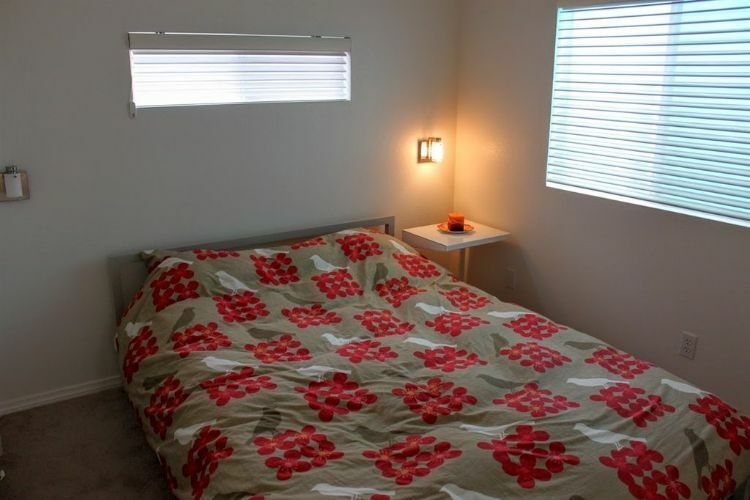 Just look at all of the room you've got, even with a queen size bed! Don't you just love the modern lighting fixtures on either side of the bed? 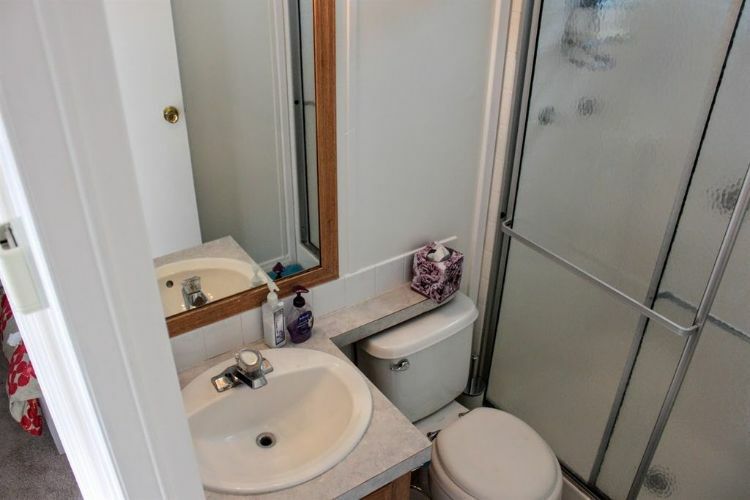 It's a cozy space with tons of leg room and charm. If you love seeing new park models, make sure to like our Park Model World Facebook page. Share this park model with family and friends on Facebook or Twitter.